Following Wiff's interview a couple of years ago, a few details of the French TV appearance that he mentioned have now been dug up from the internet. The TV show was called 'Decibels De Nuit' and was broadcast on the TV station FR3 (now France 3). Play Dead appeared on the show on 24th May 1985, performing 'Sacrosanct' (possibly lip synching). Would any of our friends in France still have a videotape of this performance in their possession? We would love to know- please feel free to get in touch with us through the contact page. Re: Sacrosanct on French TV. I really hope someone can pull this out for the rest of us to see if it still survives. Sacrosanct is one of my favorite Play Dead songs. 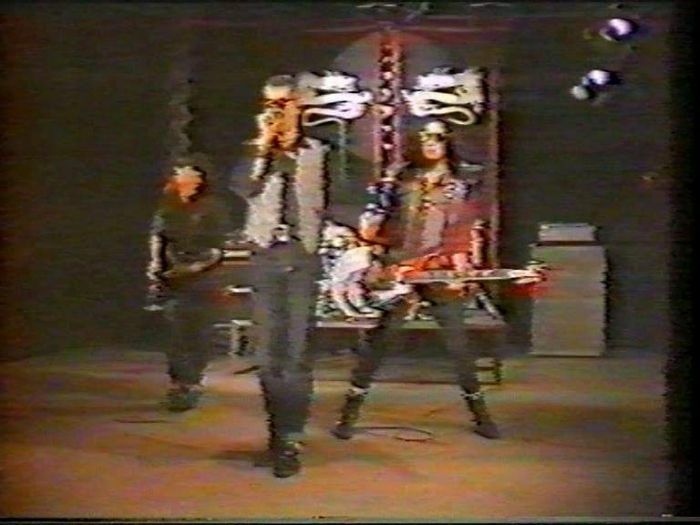 Here is the footage, there are a few glitches as its from a very old VHS tape, but considering the rarity value that doesn't matter. Many thanks to Robin Wardell, Joel Fievert and Corinne Claus for dragging it out from the vaults. Enjoy.